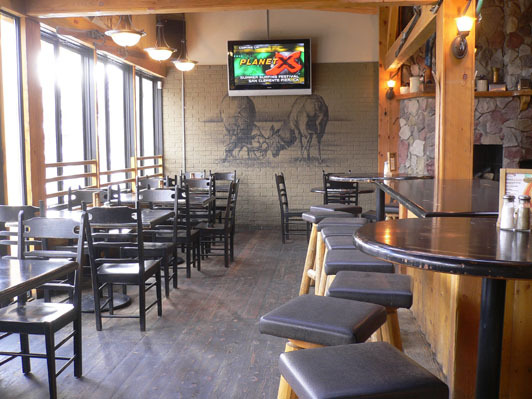 TaxiMike - Best Casual Lunch - Sports bar atmosphere. 6 kinds of burgers and more! 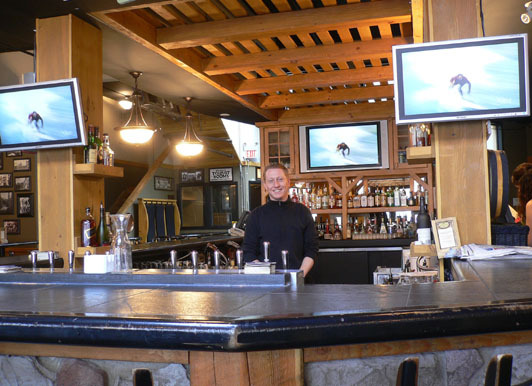 Best Aprés Ski Pub - Sportsman atmosphere with fireplace and lots of beer! 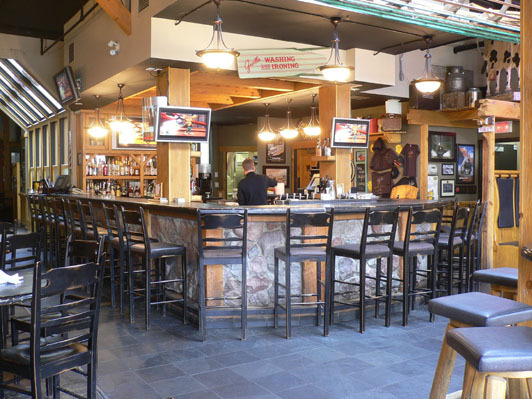 Best Sports Bar - All new plasma & LCD TVs. Not a bad seat in the place! 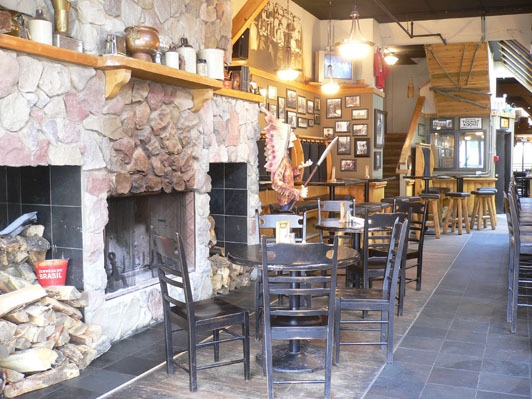 Trip Advisor - The Elk & Oarsman has a couple fireplaces, flat screen tvs, good appetizers and Canadian beer on tap plus a selection of games Collage Ad Right on Banff Ave. 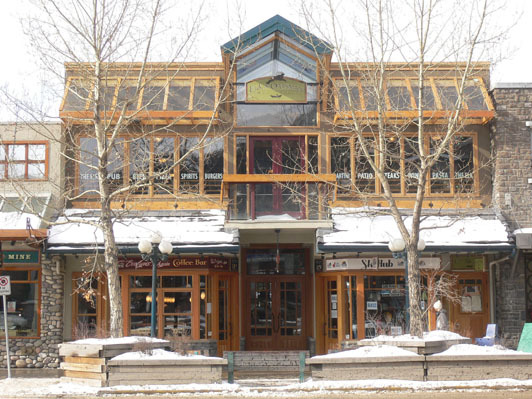 This comfortable establishment is becoming one of Banff favourite spots for locals and tourists alike. They offer and excellent selection of pizzas, burgers and Black Angus Steaks. 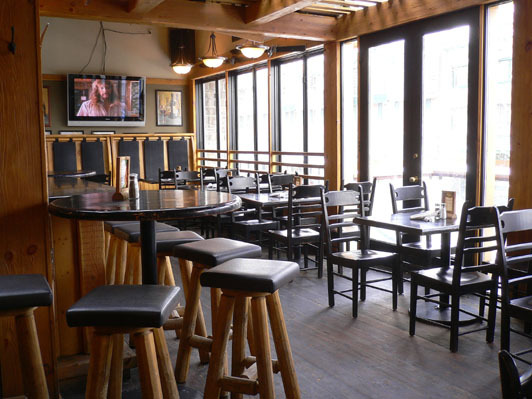 You can enjoy the Rocky Mountain atmosphere in the restaurant or find the best of current sports in the pub’s many plasma screen TVs. 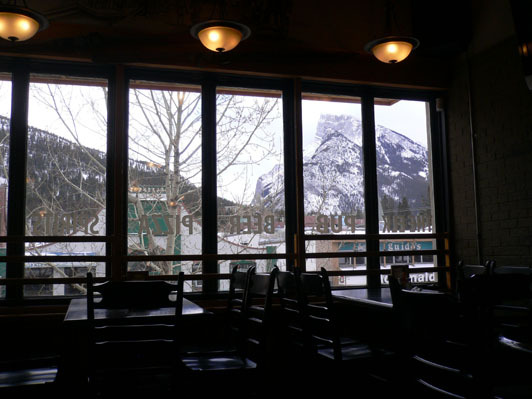 On the rooftop patio you will find 360° views of Banff and the Rocky Mountains. 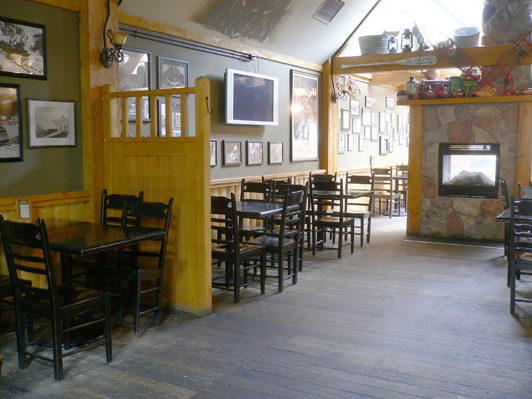 You shouldn’t visit to Banff without a visit to “The Elk.” Sun-Thu 11am-1am Fri-Sat 11am-2am. 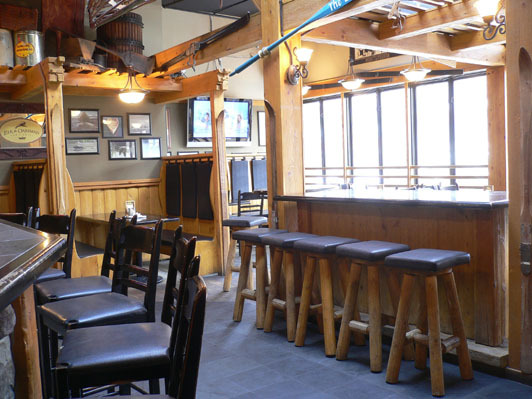 Globe & Mail - The lively yet cozy Elk & Oarsman offers a real fireplace, LCD televisions for sports fans, local microbrews, and a steak sandwich with fries and Caesar salad for less than $12.